On December 6, 1992, a large crowd of Hindu Kar Sevaks (volunteers) demolished the 16th-century Babri Mosque in the city of Ayodhya, in Uttar Pradesh. The demolition occurred after a political rally at the site turned violent. In Hindu mythology, the city of Ayodhya is the birthplace of the God-king Rama. In the 16th century a Mughal general had built a mosque, known as the Babri Masjid, at a site considered by some Hindus to be Ram Janmabhoomi, the actual birthplace of Rama. In the 1980s, the Vishva Hindu Parishad (VHP) began a campaign for the construction of a temple dedicated to Rama at the site, with the Bharatiya Janata Party (BJP) as its political voice. Several rallies and marches were held as a part of this movement, including the Ram Rath Yatra led by L. K. Advani. On 6 December 1992 the VHP and the BJP organized a rally at the site involving 150,000 volunteers, known as kar sevaks. The rally turned violent, and the crowd overwhelmed security forces and tore down the mosque. A subsequent inquiry into the incident found 68 people responsible for the demolition, including several leaders of the BJP and the VHP. 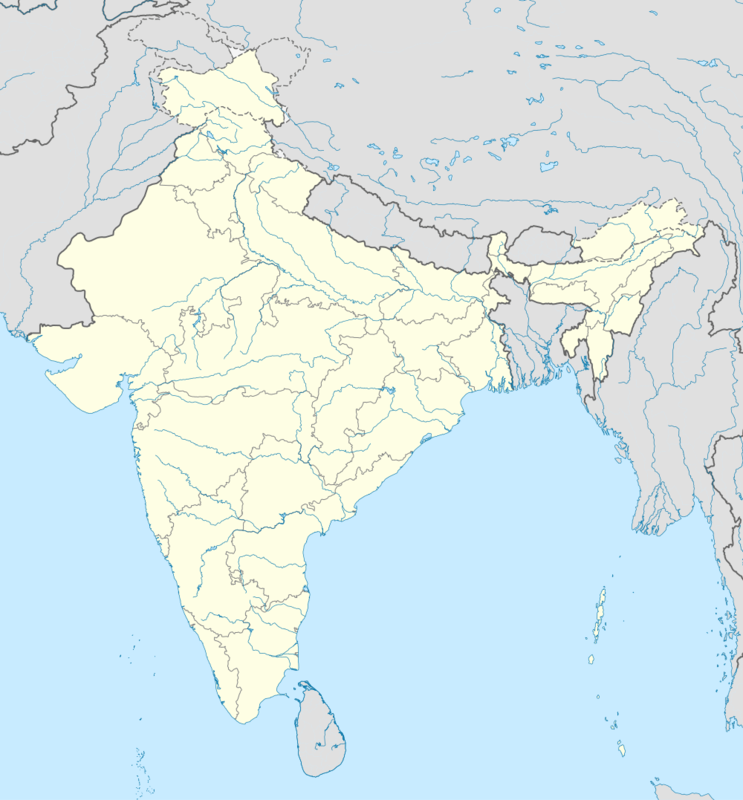 The demolition also resulted in several months of intercommunal rioting between India's Hindu and Muslim communities, causing the death of at least 2,000 people. According to Hindu belief, Ram Janmabhoomi, in the city of Ayodhya, is the birthplace of the God-king Rama. It is therefore considered one of the most sacred religious sites in the Hindu religion. In 1528, following the Mughal invasion of North India, a mosque was built at the site by the Mughal general Mir Baqi, who came to be named after emperor Babur. According to sources, Mir Baqi destroyed a pre-existing temple of Rama at the site. For at least four centuries, the site was used for religious purposes by both Hindus and Muslims. In 1859, soon after the first recorded incidents of religious violence at the site, the British colonial administration set up a railing to separate the outer courtyard of the mosque to avoid disputes. The status quo remained in place until 1949, when idols of Rama were surreptitiously placed inside the mosque, allegedly by volunteers of the Hindu Mahasabha. This led to an uproar, with both parties filing civil suits laying claim to the land. The placing of the idol was seen as a desecration by the users of the Masjid. The site was declared to be in dispute, and the gates to the Masjid were locked. In the 1980s, the Vishva Hindu Parishad (VHP) intensified its campaign for the construction of a temple dedicated to Rama at the site, with the Bharatiya Janata Party (BJP) as its political voice. The movement was bolstered by the decision of a district judge, who ruled in 1986 that the gates would be reopened and Hindus permitted to worship there. In September 1990, BJP leader L. K. Advani began a Rath Yatra to Ayodhya in support of the Hindu nationalist movement. Advani was arrested by the government of Bihar before he could reach Ayodhya. Despite this, a large body of kar sevaks or Sangh Parivar activists reached Ayodhya and attempted to attack the mosque. This resulted in a pitched battle with the paramilitary forces that ended with the death of several kar sevaks. The BJP withdrew its support to the V. P. Singh ministry at the centre, necessitating fresh elections. The BJP substantially increased its tally in the union parliament, as well as winning a majority in the Uttar Pradesh assembly. On 6 December 1992, the RSS and its affiliates organised a rally involving 150,000 VHP and BJP kar sevaks at the site of the mosque. The ceremonies included speeches by BJP leaders such as Advani, Murli Manohar Joshi and Uma Bharti. During the first few hours of the rally, the crowd grew gradually more restless, and began raising militant slogans. A police cordon had been placed around the mosque in preparation for attack. However, around noon, a young man managed to slip past the cordon and climb the mosque itself, brandishing a saffron flag. This was seen as a signal by the mob, who then stormed the structure. The police cordon, vastly outnumbered and unprepared for the size of the attack, fled. The mob set upon the building with axes, hammers, and grappling hooks, and within a few hours, the entire mosque was leveled. Hindus also destroyed numerous other mosques within the town. A 2009 report, authored by Justice Manmohan Singh Liberhan, found 68 people to be responsible for the demolition of the Masjid, mostly leaders from the BJP. Among those named were Vajpayee, Advani, Joshi and Vijay Raje Scindia. Kalyan Singh, who was then the Chief Minister of Uttar Pradesh, also faced severe criticism in the report. Liberhan wrote that he posted bureaucrats and police officers to Ayodhya, whose record indicated that they would stay silent during the mosque’s demolition. Anju Gupta, a police officer who had been in charge of Advani's security on that day, stated that Advani and Joshi made speeches that contributed to provoking the behaviour of the mob. The report notes that at this time several BJP leaders made "feeble requests to the kar sevaks to come down... either in earnest or for the media's benefit". No appeal was made to the Kar Sevaks not to enter the sanctum sanctorum or not to demolish the structure. The report notes: "This selected act of the leaders itself speaks of the hidden intentions of one and all being to accomplish demolition of the disputed structure." The report holds that the "icons of the movement present [that day]... could just as easily have... prevented the demolition." In a 2005 March book, former Intelligence Bureau (IB) Joint Director, Maloy Krishna Dhar claimed that Babri mosque demolition was planned 10 months in advance by top leaders of the Rashtriya Swayamsevak Sangh ("RSS"), BJP and VHP and raised questions over the way the then Prime Minister P. V. Narasimha Rao, had handled the issue. Dhar claimed that he was directed to arrange the coverage of a key meeting of the BJP/Sangh Parivar and that the meeting "proved beyond doubt that they (RSS, BJP, VHP) had drawn up the blueprint of the Hindutva assault in the coming months and choreographed the ‘pralaya nritya’ (dance of destruction) at Ayodhya in December 1992. The RSS, BJP, VHP and the Bajrang Dal leaders present in the meeting amply agreed to work in a well-orchestrated manner." Claiming that the tapes of the meeting were personally handed over by him to his boss, he asserts that he has no doubts that his boss had shared the contents with the Prime Minister (Rao) and the Home Minister (S B Chavan). The author claimed that there was silent agreement that Ayodhya offered "a unique opportunity to take the Hindutva wave to the peak for deriving political benefit." In April 2014, a sting operation by Cobrapost claimed that the demolition was not an act of frenzied mobs but an act of sabotage planned with so much secrecy that no government agency got wind of it. It further said that the sabotage was planned several months in advance by Vishva Hindu Parishad and Shiv Sena, but not jointly. The documentary Ram ke Naam by Anand Patwardhan, also examines the events preceding the demolition. The destruction of the Babri Mosque, as well as the destruction of numerous others that day, sparked Muslim outrage around the country, provoking several months of inter-communal rioting in which Hindus and Muslims attacked one another, burning and looting homes, shops and places of worship. Several of the BJP leaders were taken into custody, and the VHP was briefly banned by the government. Despite this, the ensuing riots spread to cities like Mumbai, Surat, Ahmedabad, Kanpur, Delhi, Bhopal and several others, eventually resulting in over 2000 deaths, mainly Muslim. The Mumbai Riots alone, which occurred in December 1992 and January 1993 and which the Shiv Sena played a big part in organizing, caused the death of around 900 people, and estimated property damage of around ₹ 9,000 crore ($3.6 billion). The demolition and the ensuing riots were among the major factors behind the 1993 Mumbai bombings and many successive riots in the coming decade. Jihadi outfits like the Indian Mujahideen cited the demolition of the Babri Mosque as a reason for their terrorist attacks. On 16 December 1992, the Union home ministry set up the Liberhan Commission to investigate the destruction of the Mosque, headed by retired High Court Judge M. S. Liberhan. Totalling 399 sittings over the span of sixteen years, the Commission finally submitted its 1,029-page report to Prime Minister Manmohan Singh on June 30, 2009. According to the report, the events of December 6, 1992, in Ayodhya were "neither spontaneous nor unplanned". In March 2015, the Supreme Court of India admitted a petition allgeging that, with a BJP government in power, the CBI would not pursue conspiracy charges against senior BJP leaders like L. K. Advani and Rajnath Singh. The Court asked the CBI to explain its delay in filing an appeal. The governments of several neighbouring countries criticised the Government of India for failing to stop the demolition and the subsequent communal violence. There were also widespread retaliatory attacks on Hindus by Muslims in Pakistan and Bangladesh. In Pakistan, the government closed offices and schools on 7 December to protest the demolition of the Babri Masjid. The Pakistani Foreign Ministry summoned the Indian ambassador to lodge a formal complaint, and promised to appeal to the United Nations and the Organisation of the Islamic Conference to pressure India to protect the rights of Muslims. Strikes were held across the country, while Muslim mobs attacked and destroyed as many as 30 temples in one day by means of fire and bulldozers, and stormed the office of Air India, India's national airline, in Lahore. The retaliatory attacks included rhetoric from mobs calling for the destruction of India and of Hinduism. Students from the Quaid-i-Azam University in Islamabad burned an effigy of the then-Prime Minister of India, P.V. Narasimha Rao, and called for "Jihad" against Hindus. In subsequent years, thousands of Pakistani Hindus visiting India sought longer visas, and in some cases citizenship of India, citing increased harassment and discrimination in the aftermath of the demolition. Following the demolition in December 1992, Muslim mobs in Bangladesh attacked and burned down Hindus temples, shops and houses across the country. An India-Bangladesh cricket match was disrupted when a mob of an estimated 5,000 men tried to storm the Bangabandhu National Stadium in the national capital of Dhaka. The Dhaka office of Air India was stormed and destroyed. 10 people were reportedly killed, 11 Hindu temples and several homes destroyed. The aftermath of the violence forced the Bangladeshi Hindu community to curtail the celebrations of Durga Puja in 1993 while calling for the destroyed temples to be repaired and investigations be held into the atrocities. Ayatollah Ali Khameini, the Supreme Leader of Iran, condemned the demolition but in milder terms compared to the reactions in Pakistan and Bangladesh. He called upon India to do more to protect Muslims. At its summit meeting in Abu Dhabi, the Gulf Cooperation Council strongly condemned the Babri Masjid demolition. It adopted a resolution which described the act as a "crime against Muslim holy places." Among its member states, Saudi Arabia severely condemned the act. The United Arab Emirates, home to large expatriate communities of Indians and Pakistanis, conveyed a more moderate reaction. In response, the Indian government criticized the GCC for what it regarded as interference in its internal affairs. Although its government condemned the events in moderate terms, the UAE experienced severe public disturbances due to the demolition of the Babri Mosque. Street protests broke out, and protesters threw stones at a Hindu temple and the Indian Consulate in Dubai. In Al-Ain, 250 km east of Abu Dhabi, angry mobs set fire to the girls wing of an Indian school. In response to the violence, UAE police arrested and deported many expatriate Pakistanis and Indians who had participated in the violence. The Commander-in-Chief of the Dubai police force, Dhahi Khalfan, condemned the violence by foreign nationals in his country. Lajja, a 1993 novel in Bengali by Bangladeshi writer Taslima Nasrin, deals with the oppression of Hindus in Bangladesh in the days after the demolition. After its release, the author received death threats in her country, and has been living in exile ever since. The Bollywood movie Mausam is based on the events surrounding the demolition. The events riots that followed the demolition are an important part of the plot of several films, including Bombay (1995) set in the Mumbai riots. Daivanamathil (2005) explores the repercussions of the demolition on Muslims in Kerala. Both Bombay and Daivanamathi won the Nargis Dutt Award for Best Feature Film on National Integration at the respective National Film Awards..The movie "Black Friday" was based upon the 1993 Mumbai serial blasts which were considered to be the after effect of the demolition of the Babri Masjid. The demolition is also mentioned in Naseem (1995), Striker (2010), and Slumdog Millionaire (2008). A metaphor of this incident was framed in the movie Delhi 6 (2009) directed by Rakeysh Omprakash Mehra. ↑ "Timeline: Ayodhya holy site crisis". BBC News. 17 October 2003. ↑ Bhagat, Rasheeda (28 September 2010). "The Ayodhya Conundrum". The Hindu Business Line. Retrieved 29 September 2010. ↑ Jain 2013, p. 9, 120, 164. 1 2 "Timeline: Ayodhya holy site crisis". BBC News. Retrieved 19 March 2014. ↑ "Babri mosque case: BJP MP declared absconder - The Times of India". Timesofindia.indiatimes.com. 2014-07-22. Retrieved 2014-08-18. ↑ Guha, Ramachandra (2007). India After Gandhi. MacMillan. pp. 633–659. ↑ Tully, Mark (5 December 2002). "Tearing down the Babri Masjid". BBC News. Retrieved 29 September 2010. 1 2 Guha, Ramachandra (2007). India After Gandhi. MacMillan. pp. 582–598. ↑ "Report: Sequence of events on December 6". Ndtv.com. Retrieved 20 June 2012. ↑ Symbolism in Terrorism: Motivation, Communication, and Behavior - Jonathan Matusitz - Google Books. Books.google.com. Retrieved 2016-05-18. ↑ "Uproar over India mosque report: Inquiry into Babri mosque's demolition in 1992 indicts opposition BJP leaders". Al Jazeera. 24 November 2009. Retrieved 8 July 2014. ↑ Venkatesan, V. (16 July 2005). "In the dock, again". Frontline. 22 (15). ↑ "Report: Sequence of events on December 6". NDTV. November 23, 2009. Retrieved 2011-12-05. ↑ "Babri Masjid demolition was planned 10 months in advance: Book". Press Trust of India. January 30, 2005. Retrieved 5 December 2011. ↑ "Babri Masjid demolition was well-planned in ahead: Cobrapost sting". IANS. news.biharprabha.com. Retrieved 4 April 2014. ↑ Gort, Jerald D.; Henry Jansen; H. M. Vroom (2002). Religion, conflict and reconciliation: multifaith ideals and realities. Rodopi. p. 248. ISBN 90-420-1460-1. ↑ Steven I. Wilkinson (2006). Votes and Violence: Electoral Competition and Ethnic Riots in India. Cambridge University Press. p. 14. ISBN 0-521-53605-7. ↑ Gilly, Thomas Albert; Yakov Gilinskiy; Vladimir A. Sergevnin (2009). The Ethics of Terrorism: Innovative Approaches from an International Perspective. Charles C Thomas. p. 27. ISBN 0-398-07867-X. ↑ Raman, B. (December 9, 2010). "The Latest 'Indian Mujahideen Mail'". Outlook India. Retrieved 2011-12-05. ↑ Sinha, Amitabh (2008-09-14). "Blast a revenge for Babri". Indian Express. Retrieved 2011-12-05. ↑ NDTV correspondent (November 23, 2009). "What is the Liberhan Commission?". NDTV India. Retrieved 29 September 2010. ↑ "India Babri Masjid demolition neither spontaneous nor unplanned: Liberhan". Hindustan Times. November 24, 2009. ↑ "In the times of Yakub Memon, remembering the Babri Masjid demolition cases". ↑ Babri Masjid demolition: Supreme Court to hear plea claiming CBI may go soft on L K Advani, Indian Express, 31 March 2015. ↑ Babri Masjid case: SC issues notices to L K Advani, others over conspiracy charges, Indian Express, 31 March 2015. 1 2 "Pakistani Hindus in India unwilling to return". Deccan Herald. Retrieved 2011-04-15. 1 2 3 4 5 6 7 8 "PAKISTANIS ATTACK 30 HINDU TEMPLES". New York Times. 1992-12-07. Retrieved 2011-04-15. 1 2 3 4 "Chronology for Hindus in Bangladesh". UNHCR. Retrieved 2011-04-15. ↑ Minorities at Risk Project (2004). "Chronology for Hindus in Bangladesh". United Nations High Commissioner for Refugees. Retrieved 2011-12-05. ↑ Minority Rights Group International (2008). "World Directory of Minorities and Indigenous Peoples - Bangladesh : Hindus". United Nations High Commissioner for Refugees. Retrieved 2011-12-05. 1 2 3 4 Ghosh Anjali (2009). India's foreign policy. Pearson Education India. pp. 310–11. ISBN 978-81-317-1025-8. ↑ Deborah Baker Stockholm, Exiled Feminist Writer tells Her Own Story, New York Times, 28 August 1994. Jain, Meenakshi (2013). Rama and Aydhya. New Delhi: Aryan Books. ISBN 8173054517. Indian Controversies: Essays on Religion in Politics by Arun Shourie, New Delhi: Rupa & Co, 1993. ISBN 8190019929.